Jesse Aron Green’s video installation Ärztliche Zimmergymnastik (2008) was included in the 2010 Whitney Biennial at the Whitney Museum of American art in New York. In this work, Green considers the multiple layers of psychoanalytical origin and thought imbued in Daniel Paul Schreber’s Memoirs of My Nervous Illness (1911) by passing through the abandoned content of his father Dr. Daniel Gottlob Moritz Schreber’s book Ärztliche Zimmergymnastik (1858). Green’s succinct and meticulously choreographed arrangement of “individual bodily exercises” originates from Dr. Schreber’s now lesser-known book. The video-work uses the book as a kind of score: the forty-exercises explained in its pages are performed, in order, according to the precise set of rules and recommendations laid out by Dr. Schreber. [i] Green’s Ärztliche Zimmergymnastik enacts a new visual vernacular explored through the transformational aspects of an overlooked site; an indeterminate, in-between space that helps to emphasize new ways of exploring and understanding visual pragmatics in contemporary art. Jesse Aron Green, Ärztliche Zimmergymnastik, still, 2008, HD Video Installation, 80 min loop. In the large projected video, sixteen men monochromatically dressed in contemporary versions of mid-nineteenth century indoor gymnastics uniforms, enact each of Dr. Schreber’s medico-gymnastic exercises in chronological order. They quietly and methodically rotate through one full cycle of Dr. Schreber’s exercises, each positioned on low, natural wood platforms that are arranged in a large four by four grid within a massive warehouse-like space. Once the participants are finished with the circuit they exit the room, signaling the end of a rotation. Although now considered obsolete, Dr. Schreber’s Ärztliche Zimmergymnastik reflects the fascistic childhood in which Schreber was raised. It is thought that Dr. Schreber’s son was the product of his medico-pedagogical abuse. This was postulated by the recollections and accounts of Schreber’s memoires, which were extremely influential to the groundbreaking texts by Sigmund Freud, Jacques Lacan, Deleuze and Guattari, and others in psychoanalytical, philosophical, and social thought. By electing to burrow into this historical blind spot, Green visually explores a neglected niche in order to “redefine or reinvent a given medium (singular) as a heterogeneous field of activity, recognizing that the coherence of the traditional medium is always conditional” as ARTFORUM’s editor Michelle Kuo suggests is inherent to the ambivalence of media. [ii] Green’s visual exploration of Dr. Schreber’s text not only reveals personal lineages of Schreber’s mental illness and psychiatric confinement but also entices the notion of a universal engagement with a global network of ‘misfit’ sources. Erin Dziedzic, Overlooked Diagram, 2012. Green also shifts the viewer’s spatiotemporal experience by filming clockwise from the perimeter of the space and timing the shot to precisely one full rotation of the exercises. 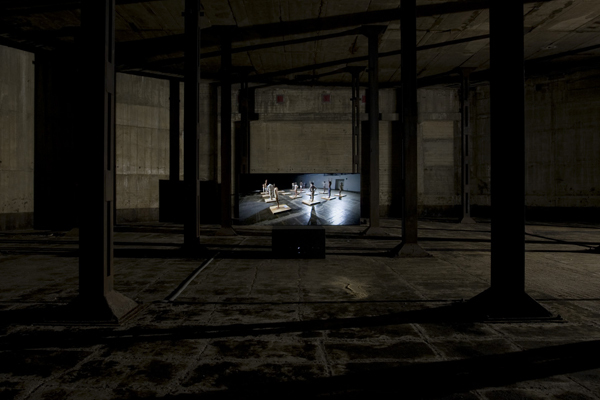 As the viewer stands still in the space where the video is shown, the projected room before them is presented in the round. This cyclical trajectory evokes Deleuze and Guattari’s object of Pragmatics. In symphony with the object of Pragmatics, the diagram of the overlooked initiates the idea of a multi-dimensional, logico-epistemological space, physical, mental, and social space; the realm HenrI Lefebvre notes as “the space of social practice, the space occupied by sensory phenomena, including products of the imagination such as projects and projections, symbols and utopias.”[v] The circular rotation of the camera, the notion of a rotating set of exercises, and Green’s decision to show this work as a continuous looping video all help to underscore the notion of infinite reflections of time and space initiated by an overlooked source. Jesse Aron Green, Ärztliche Zimmergymnastik, 2008, Oil Tanks at Tate Modern to coincide with the Frieze Art Fair. Green says, “the person who invented the exercises that I’m using is simply the father of this other influence on much of Freud’s early work on paranoia and sexuality. So [the piece] is simply that; tracing a legacy, tracing a history,” emphasizing the notion that he is pointing to prehistory. [vi] By enacting the activities initiated by the overlooked source of Dr. Schreber’s text, Green explores the vestiges of psychoanalysis’ effect on current visual culture. Green continues to also engage with divergent aspects of a spatiotemporal trajectory with The Future of My Nervous Illness (after FGT) (2008) an accompanying work to Ärztliche Zimmergymnastik. Resisting the mirrored synchronization of Felix Gonzales-Torres’ Untitled (Perfect Lovers) (1991) for which The Future of My Nervous Illness is in homage to, Green set his 24-hour clock to count backwards as the clockwise rotation of the camera on a circular track moved slowly around the exercising figures in the room. These opposing rotations impart an intra-orbital dialectic that considers a mirroring effect of the diagram’s arch. 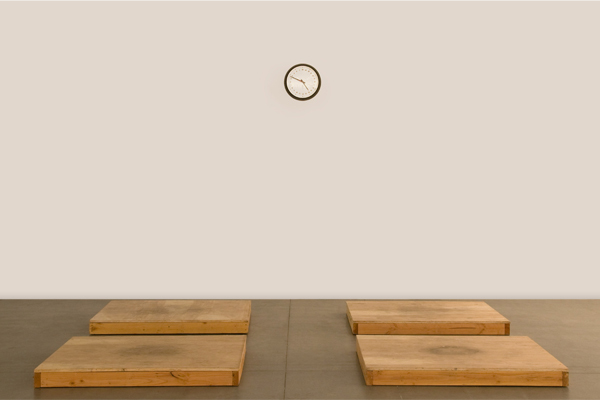 This allows reach beyond the temporal engagement with Gonzales-Torres’ clocks, to consider both time and space within the context of the overlooked. Deleuze and Guattari’s object of Pragmatics follows an ordered path as does the circular tracked video shot, the clock, and the chronological order of the exercises. What the combined diagrams offer is a space to consider what lies between, beyond, within, outside, and/or near this superstructure or the overlooked, which gives spatial and pictorial vivacity to buried sources. Jesse Aron Green, The Future of My Nervous Illness (after FGT), 2008, Installation at the New Wight Gallery, Los Angeles, CA. 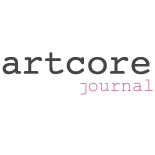 Erin Dziedzic is founder of artcore journal. Jesse Aron Green was born in 1979 in Boston, MA. He received his MFA from UCLA and his BA from Harvard University. His recent exhibitions include solo shows at: CCA Zamek Ujazdowksi, Warsaw; Carroll and Sons Gallery, Boston; Williams College Museum of Art, Williamstown; Halle14, Leipzig; Tate Modern, London. Recent and upcoming group exhibitions include: Dance/Draw, ICA, Boston; 2010 Whitney Biennial, Whitney Museum of American Art, New York. He was a Henry Luce Scholar for 2008/09, a Trust for Mutual Understanding/Location One Fellow for 2009/10, the Arthur Levitt Fellow at Williams College for 2010/11, and a Peter Ivers Visiting Artist at Harvard in 2012. [i] Jesse Aron Green, project description for Ärztliche Zimmergymnastik. http://jessearongreen.com/az/project-description/ Accessed Jan. 21, 2013. [ii] Michelle Kuo, “Art’s New Media,” ARTFORUM, September 2012, 67. [iii] This diagram and idea were developed by Erin Dziedzic for a proposed exhibition idea in 2012, which recognizes contemporary semantics of artists focusing on overlooked sites as the intertextual impetus for approaching alternative language in contemporary art. [v] Henri Lefebvre, The Production of Space, trans. Donald Nicholson-Smith (Blackwell: Malden, MA, 1991): 12. This entry was posted on January 23, 2013 by artcore journal in Volume 1, Issue 2: Biennial and tagged jesse aron green, volume1 Issue 2: Biennial.